Where can I buy organic grass fed beef in Las Vegas? Topline Foods is now delivering grass fed organic beef to your home in Las Vegas, Nevada! 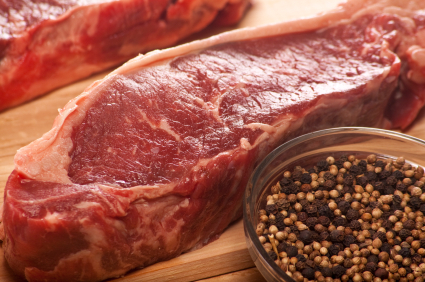 Want organic grass fed beef but are tired of driving all over town to find it? Problem solved! Topline Foods is now providing low cost shipping of its highest quality organic grass fed beef to Las Vegas! And, you don’t have to buy half or even a quarter of a cow! Shop online from the convenience of your home and select only the cuts and amounts of organic meat you want! We’ll ship it to your door – now that’s convenient! Topline Foods also offers other clean, whole foods like organic free range chicken, wild caught seafood and more! Shop online today! This entry was written by Terese, posted on October 28, 2011 at 5:43 pm, filed under Announcements - Cities and tagged grass fed beef Las Vegas, grass fed meat Las Vegas, home delivery grass fed organic beef Las Vegas, How to find organic grass fed meat Las Vegas, organic beef Las Vegas, organic grass fed beef Las Vegas, organic grass fed meat Las Vegas, organic meat Las Vegas, Where to buy organic grass fed beef Las Vegas. Bookmark the permalink. Follow any comments here with the RSS feed for this post. Both comments and trackbacks are currently closed.